Installation is simple. Below we’ll tell you how to measure for your pool and how to install the cover yourself. 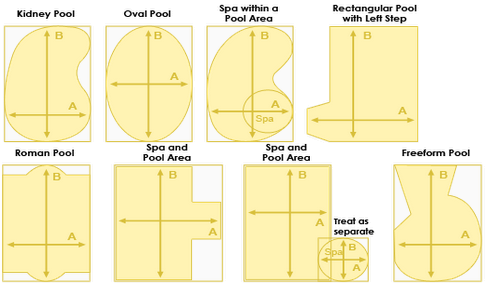 To measure your pool, simply measure the widest and longest edges. Add 15cm to both measurements to obtain the minimum pool cover size needed. e.g. If your measurements were 10 x 5m. Then you need a cover that is at least 10.15×5.15m in size. Lay the cover bubble side down on the water & smooth out with a pool broom. Cut the cover using the pool as a template with sharp scissors. Cut it a little big so the cover rises(curls) up the side of the pool by about 7-10cm. With the broom, smooth and push the cover up against the edge of the pool. If necessary, trim a little more off the cover so the cuts are straight and even. You’re done! Now you can enjoy warmer and cleaner pool water.